The day is here! I’m finally ready to share our next big project. You know, the one I’ve been teasing you with the last few months? Here she is… introducing “Minnie”. She’s our soon to be tiny home away from home camper. Yes, it’s an empty landscape trailer, with an unattractive temporary stick protector over it, but soon enough it will be ready for the road. I’ll explain a bit about how it came to be but I also did a little video tour so make sure you look for it at the end of the post. The hubs and I have been talking about doing this for years and it’s finally time to get it started. We both grew up camping, and we even met and fell in love camping (when I was 16), so it’s fair to say that it’s our passion. We’ve had several trailers over the years. We started with a tent then moved to a popup and finally to a 31 foot trailer, but building our own has always been a dream of ours. The last time we had a camper was when we lived in Florida, 7 years ago, so it’s time to get back on the road. I know…this doesn’t actually look like a traditional camper but it will be one when we’re done with it (on the inside at least). 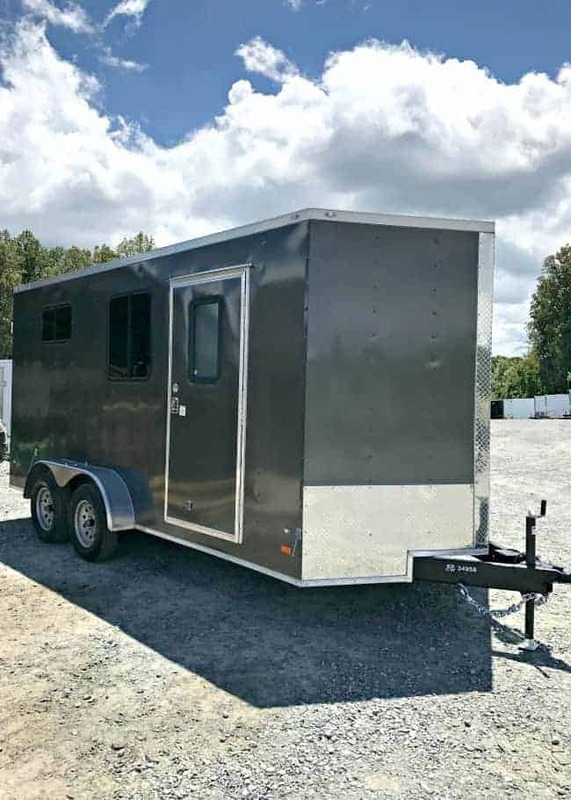 We looked at a lot of different trailers, all older and used, but this seemed like the best option. 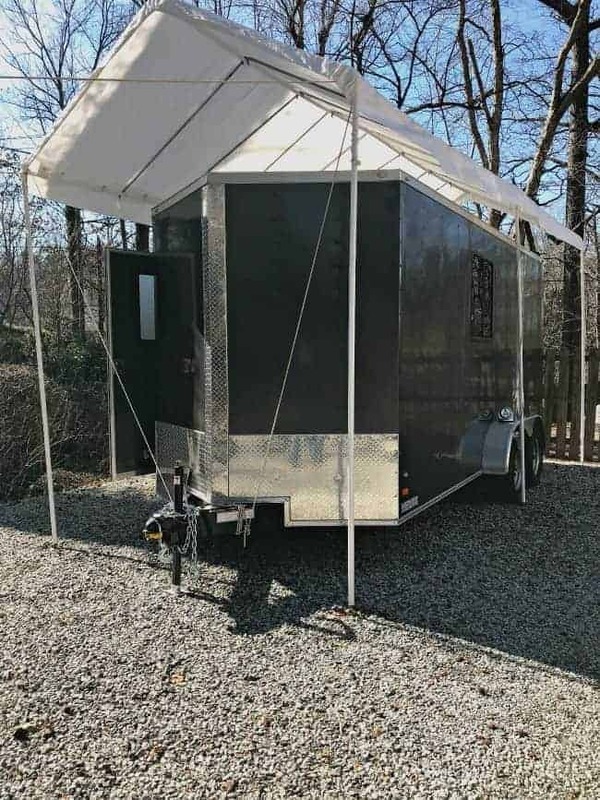 I really wanted a cute little vintage trailer but we never found the perfect one, that was the perfect size at a good price. Vintage trailers are expensive ya’ll. Once you have them you have to gut and rebuild them. Not practical for us, no matter how cute they are. Sure, we looked at older (not cute), cheaper trailers but most were rotted out and in desperate need of a complete gut job. Again, not ideal. The hubs tried to sell me on the landscape trailer idea for years, I mean years, and his reasoning finally won out. I didn’t want to give in, I wanted cute, but I told him that if I did I needed a few things. I wanted free reign on decorating, which meant it was going to look decorated inside to my taste and not look like a hunting lodge. Hey, he’d be happy with a mattress on the floor and that’s it. That wasn’t going to cut it for me. He finally wore me down so we went to a dealer that sold landscape trailers and looked around. 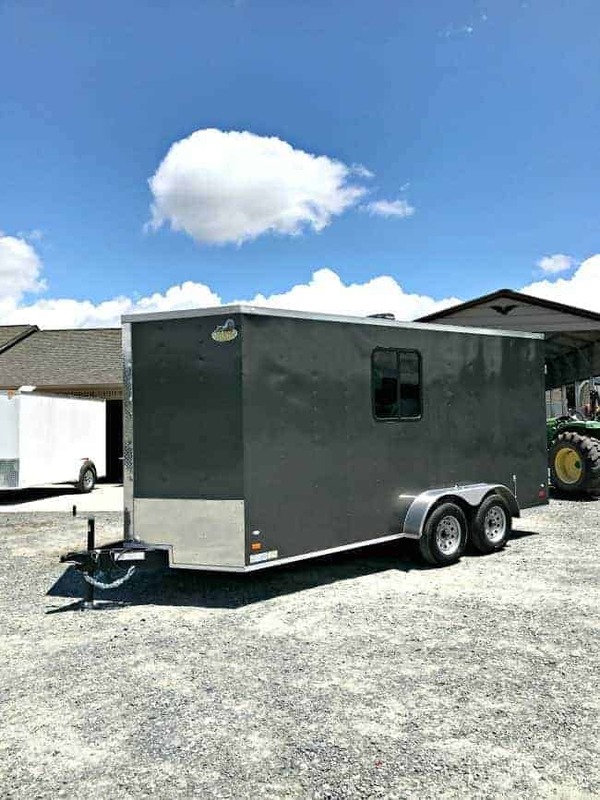 Most of the time these trailers are used by landscapers for the storage of their tools and equipment. The majority that you see are white and they don’t have windows. We looked at used ones first but decided that, since a new one wasn’t that much more than used, we’d go with new. That meant we could customize it. We ended up getting it to our specifications. Of course we paid extra for every extra but, compared to vintage trailers, it really wasn’t bad. We did get all of that but we also got a big empty box inside. Yup, it’s just a big empty space waiting for us to fill it up. Here we are looking toward the back of the trailer. Notice the barn doors and the window. That is where the bed will be. The plan is to put a table under the big window and a couple of portable stools, with storage. This area will be the kitchen. It will be small but efficient. Some cabinets, a small fridge and a sink under the window. Hopefully the placement of all the windows will work out. Obviously we had to pick locations for them before it was built. This view is the front of the camper. There is a point, which gives us a bit more space, but I’m not sure how useful it will be. This is where the bathroom will go. The shower, toilet and a closet will take up this space. We’ve been sketching out plans for months and this is the latest layout. Of course we’ll incorporate as much storage as possible. As always everything will be done by the two of us. Don’t worry…the blog won’t be all about the camper. I’ll share the projects we do, and updates, but we still have plenty going on in the house. 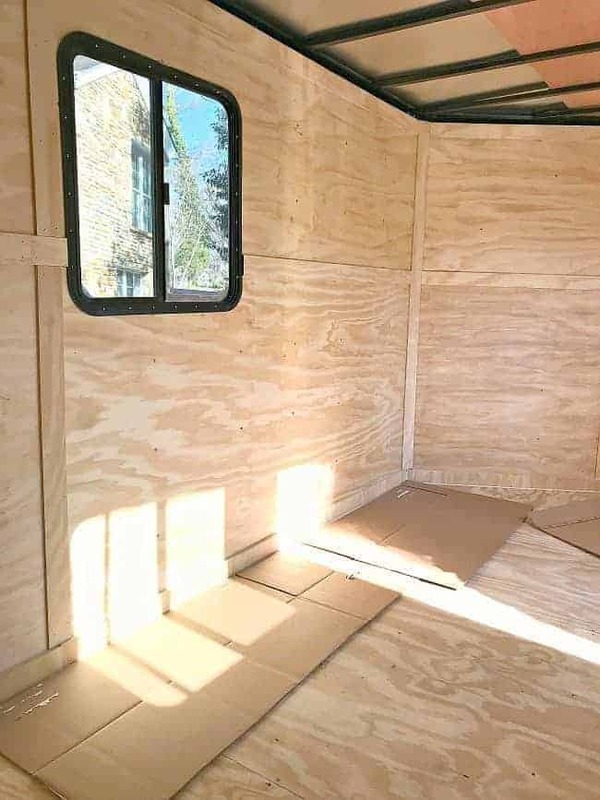 I think that the camper fits in well with small space living that we talk so much about and I though we could share some great ideas for working in storage, that still looked good, in a small space. My hope is that it will give you some good ideas and inspiration that you can use in your own home. The cat’s out of the bag and the tour is over. Now the real fun starts and we are so excited. We’ve completed our first big project, the tongue and groove ceiling and it completely changes the way the inside looks. Thanks so much for stopping by and taking a look at Minnie, Sharon. We previously camped in a regular 30′ RV before so this is quite a change. We have a ways to go before she’s ready for the road but she’s coming along. I’m hoping to share an update next week. Can’t wait to share your journey. You and the hubs do such great work..I know it will be gorgeous. That’s so sweet, thanks so much Carol! We are excited to share our journey. Hi Kristi! I’m so excited to see this project! I’m sure is going to turn AMAZING! Working as a team is the best! Well is my favorite part of be with M.
Hi there my friend! We are both so excited about this project. Just hope it will stop raining here long enough to get it started. Working together is the best, especially when it’s for something you both love. 🙂 Thanks for stopping in to say hi. Hugs to you and your Mr.
How exciting! Looking forward to reading all about the magical transformation! Best wishes. Thank you for sharing. I guess it worked this time. I don’t know what happened earlier. Anyway, what fun! I always say that if you never camped as a kid, you won’t like it as an adult. Meet my husband. ???? I camped with my sons when they were younger, left hubby at home. I know he didn’t like it and I wasn’t going to put him through that. The only suggestion I have is about the microwave. Here is why I think you should have at least a small one. It’s late at night and you want a snack, but you need to warm it up, I don’t think you are going to want to go outside to start a fire to heat it up. Just a thought. My son has a camper, it’s a large one, but I have photos of the inside that might give you some ideas if you would like me to send to you. 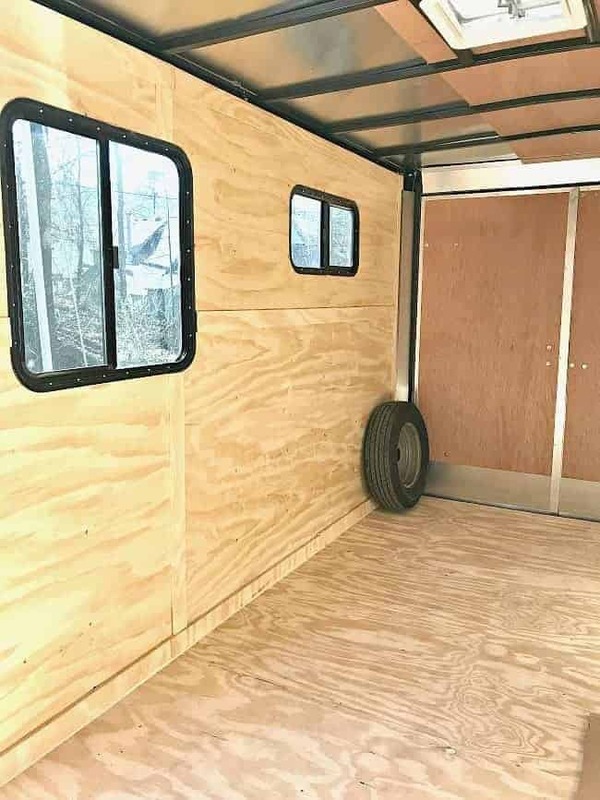 Can’t wait to see the finished camper! That’s too bad that your hubs didn’t enjoy camping. It’s great that you were able to give your sons that experience though. I’m so happy that we could share that with our girls too. They have a great love of the outdoors because of it and both of them camp often. It’s a great way to travel. Thanks for the offer of photos. I really appreciate it! 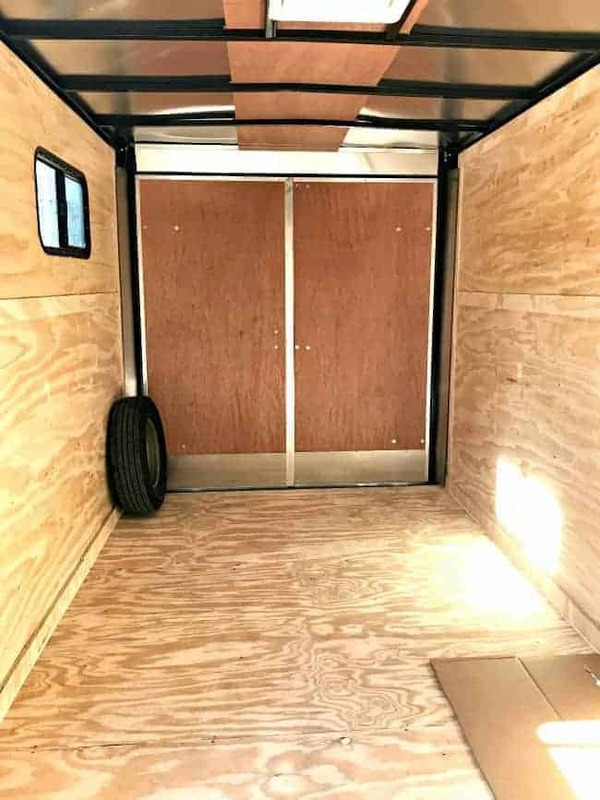 We had a 31 footer and have been looking around at dealers so we pretty much know what we’re going to do (it’s just a matter of fitting it all in such a small space). Thanks again for letting me know about comments, and for trying to send one again. I’m still trying to figure out why it happened. Another wonderful project to follow! I’m excited to get going. When my children were young we had a pop up Nimrod, had lots of fun, but New York State could be cold nights. We even had snow on the 4th of July in the Adirondacks. Happy camper making. I’m so glad you are excited about our new project Brenda! We are excited to get started and I can’t wait to share it all with you. We’ve had a few popups and I loved camping in those. Hubs…not so much. Camping in one when it’s cold is not much fun. Snow on 4th of July? Wow! How exciting! What a great project! Can’t wait to see it all completed. Enjoy! Looks like a fun project! I am not a camper, as a matter of fact I joke around and tell people that a Holiday Inn is the closest I get to it! 😉 But I am a design girl, so I am excited to see what you do! Congratulations! I think it sounds like fun, that’s what life is all about enjoying nature and seeing all the beauty in our world. I am widowed but i can remember camping, and setting outside,eating outside, the only thing you do inside is sleep and shower. I really Love your trailer! Making it how You & Hubby want it. The only thing I could suggest is a white exterior, especially a White roof. Makes a BIG difference in the summer time. We lived in a trailer at one time, it had a black roof. We coated it with white roof, kind of like tar but white & Much easier to use. Our electric bill went for over $350.00 to $150.00, Big difference!! What fun! I am so happy for you! Cannot wait for you to take us along on your journey of turning this into the camper of your dreams! Since your house is so cute and cozy I am certain you will make this just as lovely! I am so excited for you! This is a really fun project for you and I know you will make it so cute, can’t wait to see the process. Oh Kristi I am so excited for you. I love camping. My late husband and I camped almost every weekend. 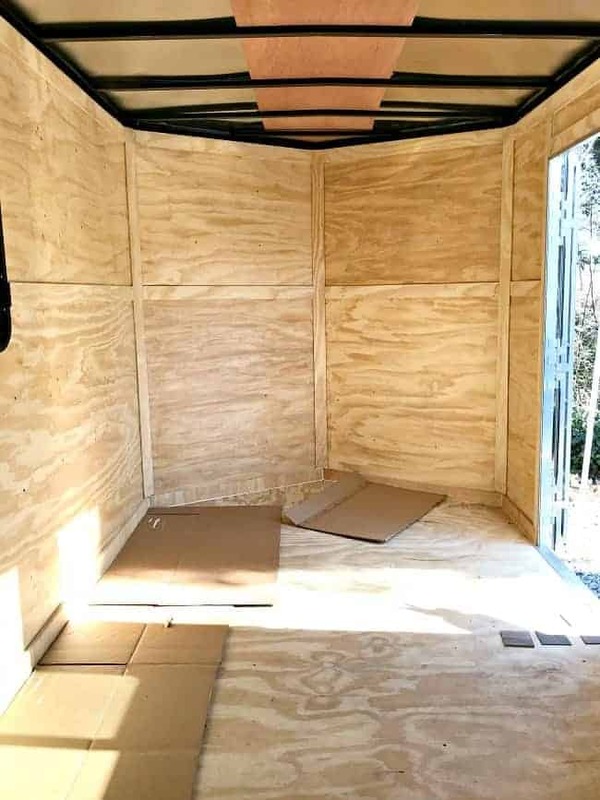 I am so excited to see what you are going to do to turn this into your little cottage on wheels. One question, Why the barn doors where the bed will be? Congratulations on your new adventure. Thanks so much Debbie! I have been holding back and worried about sharing. It’s great to hear from others that love camping too. It’s been a long time since we’ve gone and I’m really looking forward to it. As far as the barn doors go, that is how these trailers are made. They will be used to access storage behind the bed. We’ll build a wall to block off the bed and rear storage. There won’t be much room but we should be able to fit a few things back there. Hope that answers your question. Watching you turn this into what you want is going to be such fun!! And, one of my first thoughts was that even though your pretty little cottage is small, when you come home from a camping trip, it’s going to feel like a mansion. 🙂 I’m sure your new home-away-from-home will be lovely as well. I’m glad you are excited about our new project Pat! I was so worried that I would scare everyone away. 😉 I’m excited to get to work and can’t wait to decorate and turn it into a fun little escape. Thanks for reading! Hope the rest of your week is good. An empty canvas. That’s the way I’d want to start. I’ve thought about doing this for a long time (I’m 62 now) but my wife would not go along with it. So…I’d be camping alone. However, I can do that. 🙂 Since you’ve given this a lot of thought over the years you have probably brainstormed every aspect of the build. So let me provide you with some thoughts hahaha. My first thought was about the barn doors in the rear and the access to the storage under the bed. Why not install those pull out slides used for the back of pick-up trucks – put them under the bed. Simple, easy and especially easy on the back. How about potable water storage and other weighty type of stuff. Don’t forget about the center of gravity and tongue weight. (I know you already have, just thought I’d mention it.) I would love to help you guys build this thing. LOL. I’m finally running out of projects at the house. Good luck, be creative, don’t cut corners (or your fingers), put a roof top A/C – heater in, do a professional wiring job on it, etc., etc., etc., and you’ll enjoy her for years. Oh, what are you pulling it with? Hi Mark! An empty canvas indeed! It’s just what we wanted and we’re excited to get started. We’ve planned and talked about this forever so I’m ready to get to work. We’ve always done all of our own work, including electrical (hubs is an engineer) and plumbing so no worries there. Weight is definitely a huge factor in everything we do. I don’t like it but there’s no getting around it. We’re just going to take it one project at a time and see how it goes. Thanks for sharing your thoughts. I hope you come back to check out our progress. Oh, and we’ll be pulling her with a Chevy Tahoe. When we brought her home the hubs was so happy with the way she pulled. He’s pulled a lot of trailers in his time, he used to work for an RV dealer, so he knows good from bad. Great project! Looking forward to your storage ideas colors,etc. wall pops? Ship lap wallpaper( no weight either,just paper) could be the first blogger to take this fun adventure on! U go girl! Thanks so much! We’re very excited about it and I can’t wait to share more. Weight is definitely a huge factor. Every project and piece we put in will be carefully considered. The hubs worked in the RV field for years so we’re covered. 😉 Thanks for following along. I’m not a camper even though we talk about traveling in one after hubby retires. I’m sure it will be just what you want when y’all are finished. Seems like a very smart idea to me. Thanks Kim! We’ve talked about getting back to it for years. I’m glad we’re finally going to do it, in our own way.